The application and usage of toroids are wide spread throughout the world. 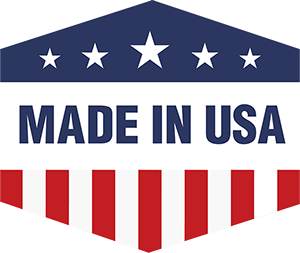 Their usage helps many different industries create their products. As technology becomes more widespread, more powerful, and less expensive, the need for toroids is increasing exponentially. As technology advances and expands, the need for high quality toroidal transformers will become even more important. These products are passive electronic component that are created in a ring shape. The cores are magnetic, and it is made of materials with very high magnetic permeability (this is usually iron powder and ferrite). There is important information to know about these products that could help when purchasing and using toroids. This article will be dedicated to exploring some important facts about toroids and toroidal transformers. A toroidal transformer can be used with any electronic transform application, as long as the shapes match. Just because a toroid will fit, doesn’t mean that you should use one. They are not the most practical choice when it comes to certain applications. Although cores are normally made with iron powder and ferrite, this doesn’t mean that other materials can’t be used. The material must be magnetized or able to be magnetized. You may use, silicon steel, amorphous, nickel iron, moly-permalloy powder. The shape of a toroid, circular, is designed to give the coil a stronger magnetic field. You can compare this to the magnetic field of a solenoid coil. The circular shape also gives a higher inductance as well as Q factor. As the toroid works, magnetic field paths are kept within the core, and this allows for Q factor and high inductance. The circular shape gives the toroid other advantages as well. A perk of working with toroids is the low EMI (electromagnetic interference) radiation. The magnetic flux within the product’s symmetry has minimum leakage flux. For low power and high frequency electronics, a toroid is a great option because they don’t interfere with other circuits or equipment. Some toroidal transformers are created as gapped toroids, which means that the center is filled with different types of insulating materials. This is done to help the winding process. Understanding the full potential of toroids allows for users to create and use better products. There is a lot to factors when purchasing these items, so it is best not to rush to buy. Consider your options and then discuss them with a local toroid company. A ferrite toroid is a product that is able to provide high magnetic efficiency, and this is due to the fact that no air can get through the cross-sectional area. 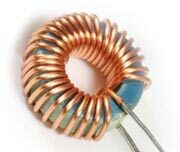 Toroidal inductors are categorized as passive electronic components; which are defined by any device or physical entity in an electronic system that affects electrons or their associated fields.